The town of Fatima is known for being a Catholic pilgrimage site dedicated to the Virgin Mary. On this day tour—you’ll save time waiting for other travelers to be picked up, as it’ll just be you and your driver. By opting for a private tour, you’ll be able to customize your itinerary based on your needs. 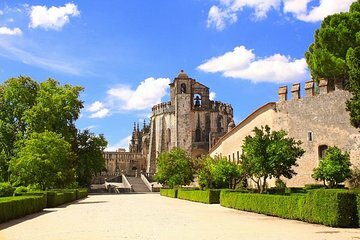 Potential highlights include visiting the Sanctuary of Fatima, Aljustrel village, the historical town of Tomar, and the Castle and Convent of the Knights Templar.